John Floyd brings considerable experience to his cases with a wide-ranging background in complex commercial disputes, construction litigation, white collar criminal defense, and internal investigations. Floyd has represented plaintiffs and defendants in state and federal courts throughout the United States, having litigated matters in North Carolina, South Carolina, New York, Oklahoma, Minnesota, and the District of Columbia, and has served as lead counsel in arbitrations before the AAA. Floyd’s clients include Fortune 500 companies, closely held businesses, and individuals. 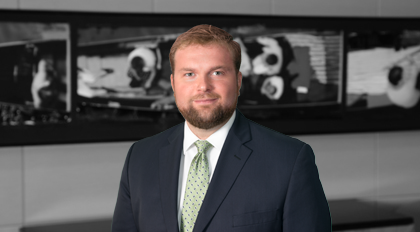 Though he maintains a general litigation practice to serve all of his clients’ needs, Floyd focuses his practice on matters involving complex contractual disputes, business torts, securities fraud, and construction law. Before law school, Floyd worked two years for International Business Machines (IBM) as a supply chain management consultant, providing business consulting and oversight services to the United States Treasury Department and the United States Department of Defense.